A large body of research has shown that breastfeeding provides infants with the optimal nutrition needed for healthy development. But not every parent wants or is able to breastfeed their newborn, and one mom is reminding people to think twice before judging other parents for making this decision. New mom Meghan Koziel was diagnosed with breast cancer in 2015 and, as part of her treatment, underwent a double mastectomy. Because of the surgery, Koziel lost her ability to breastfeed, so when she gave birth to her daughter in September, she decided to post a sign in her delivery room as a heads-up to hospital staff. Koziel, who works in a hospital herself, understands firsthand that doctors and other medical professionals may not always read over the full medical charts of their patients. So when a friend gave her the idea for the sign, the new mom knew instantly that it would help her avoid having to explain why she is not breastfeeding and would save her from reliving her breast cancer trauma for everyone who walked into her hospital room. 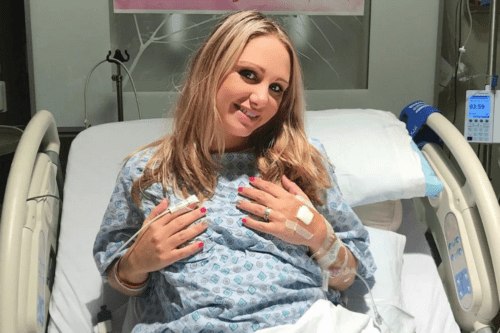 Koziel’s sign, it turns out, was a hit with the hospital staff, who treated the situation as an important learning experience — both in regard to understanding the complexities of breastfeeding and being more conscientious of a person’s medical history. But after her Instagram post went viral, the new mom was still given unsolicited advice from social media users who felt donor breast milk, which can run $3 to $5 for an ounce, would be a better option for her newborn than formula feeding. Research has shown that, although breastfeeding has added nutritional benefits, formula feeding is still healthy for newborns. Formula milk is fortified with vital nutrients, such as vitamin D and iron, and is available in both dairy-free and soy options to help little ones avoid allergic reactions. 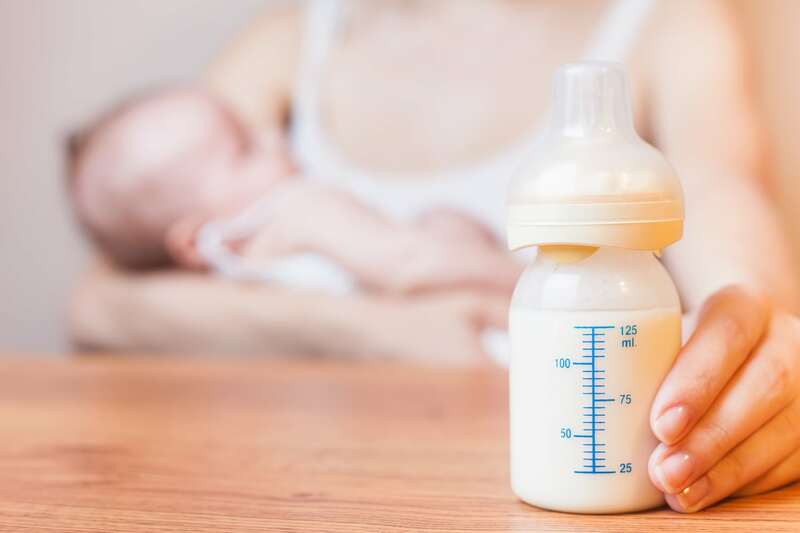 Koziel hopes people understand that breastfeeding versus formula feeding is a deeply personal choice, one that new parents do not take lightly. A number of factors, including complex medical conditions, go into making that decision. Ultimately, that choice should be respected because, in the end, fed is best.